Today I am interviewing Elka Ray, author of the thriller, Saigon Dark. DJ: Hi Elka! Thanks for agreeing to do this interview! Elka Ray: Hi DJ. Thanks for your interest. I was born in the UK, grew up mainly in Canada and have spent the last two decades in Vietnam, where I work as a writer, editor, and illustrator. I’m passionate about reading and writing crime fiction. DJ: What is Saigon Dark about? Elka: The main character of Saigon Dark is Lily, a divorced American-Vietnamese surgeon who’s recently moved to Ho Chi Minh City with her two young children. When Lily’s baby daughter dies suddenly, she makes the rash decision to steal an abused street child and give this kid her dead daughter’s identity. Dealing with her secret grief, and the ensuing lies, Lily starts to unravel. DJ: What were some of your influences for Saigon Dark? Elka: My first child died as a baby. The more I pretended to be fine, the worse I felt. This sparked an interest in grief and trauma, and led me to create the story of Lily, who, following one grief-stricken decision, can’t ever reveal her true feelings. 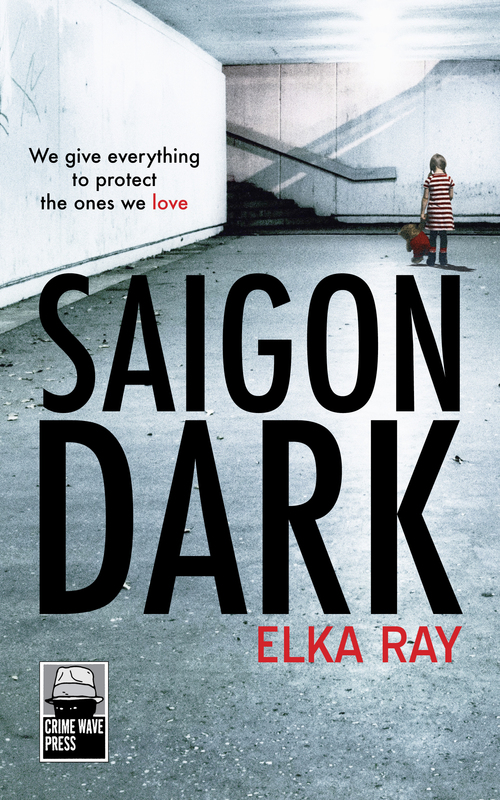 Elka: If you like stories about nice people behaving well, Saigon Dark might not be for you. While Lily is trying to do the right thing, she’s an unreliable protagonist – a strong, smart woman who, due to grief, trauma and isolation, makes increasingly questionable choices. DJ: What is the setting of Saigon Dark like? Elka: The book takes place in Vietnam’s two biggest cities, Ho Chi Minh City and Hanoi. Like in many developing countries (and some developed ones), there’s a big divide between the haves and have-nots, and a lack of support systems for people who slip through the cracks. When Lily hears the neighbors’ kids being abused, she can’t just call the cops or dial 911. Being Vietnamese-American, she expects to feel at home in Vietnam, only to find she doesn’t understand how things work here. DJ: What was your favorite part about writing Saigon Dark? Elka: I love moral complexity and am intrigued by characters who justify choices I might not make. Elka: This novel stirs strong and contrasting emotions in readers: sympathy for Lily; respect for her determination to protect her kids; and disgust in her selfishness, self-justification and deceit. DJ: Was there a particular message you hoped to get across in Saigon Dark? DJ: When I read, I love to collect quotes. Do you have any favorite quotes from Saigon Dark? DJ: Now that Saigon Dark is released, what’s next for you? Elka: My next novel, a much lighter romantic mystery called Divorce is Murder, will come out with Seventh Street Press (Prometheus) in June 2019. The story follows Chinese-Canadian divorce lawyer Toby Wong’s efforts to prove her client, an old teenage crush, didn’t murder his nasty estranged wife, who’d made Toby’s life hell back in high school. Elka: Thank you for fitting reading and blogging about books into your killer schedule as a med student. Best of luck with your studies! A grief-stricken young mother switches her dead baby for an abused child, then spends the next decade living a lie. She remarries and starts to feel safe when she gets a note: ‘I know what you did’. Can she save her family from her dark secret? Elka Ray is the Canadian author of two novels – Saigon Dark and Hanoi Jane, and a collection of short crime stories: What You Don’t Know: Tales of Obsession, Mystery & Murder in Southeast Asia. Her next novel – a romantic mystery – will come out with Seventh Street Press in early 2019. 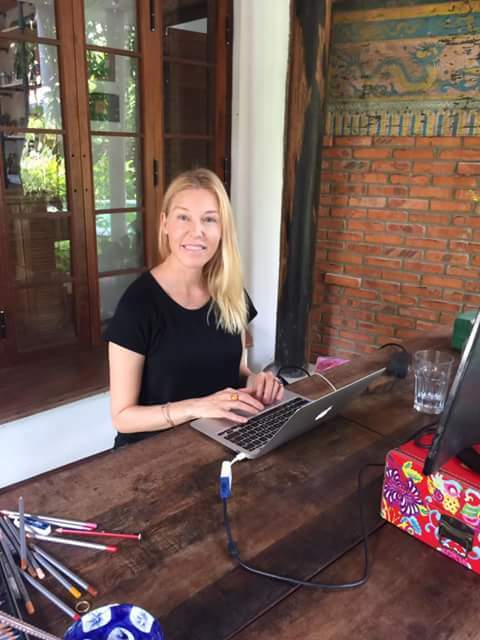 Elka is also the author and illustrator of a popular series of bilingual children’s books about Vietnam. She lives with her family near Hoi An, Vietnam. To learn about Elka’s latest projects, please check NEWS. You totally rock with your interviews. Elka Ray is going places. Great interview! Great blog, too. This was a nice interview, good work! I am so sorry to hear about Elka Ray’s heartbreak, I can’t imagine. Writing must be a positive way to work through some of that and the book sounds like something I would find interesting. Thanks to both of you for sharing.